The next wave of development is beginning with several sites in, and on the edge of, Fishermans Bend being prepared for construction. The new South Melbourne-Ferrars St Primary School is in recess after an exuberant first full term in operation. Construction of the 8,000 square metre park next to the school, acquired in July 2016, is well underway. There’s washing on the balconies of the Gravity Tower, and people are making their way across unforgiving Montague Street for meals at the Golden Fleece Hotel. Motor repair shops are becoming fitness studios. An art gallery with spaces for artists, Laurent, has opened at 115 Thistlethwaite St. 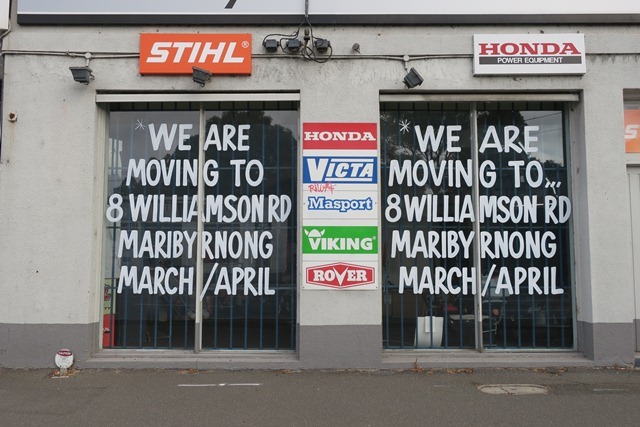 The place where you could hire a lawn mower on the corner of Ferrars and City Rd is moving. The lily pilly trees on Buckhurst St are fruiting but not as plump this year after the dry weather. 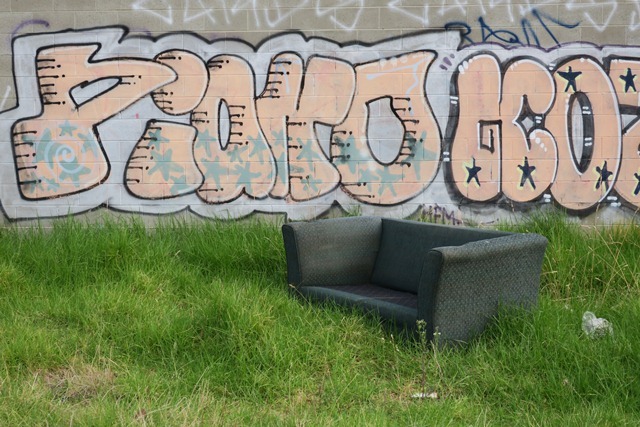 The row upon row of townhouses at 164 Ingles St now co-exist with the diminishing wild places of Fishermans Bend – new and orderly and footpaths on one side of the street, dumped rubbish and long grass on the other. Riding through Sandridge, the presence of Goodman is pervasive. 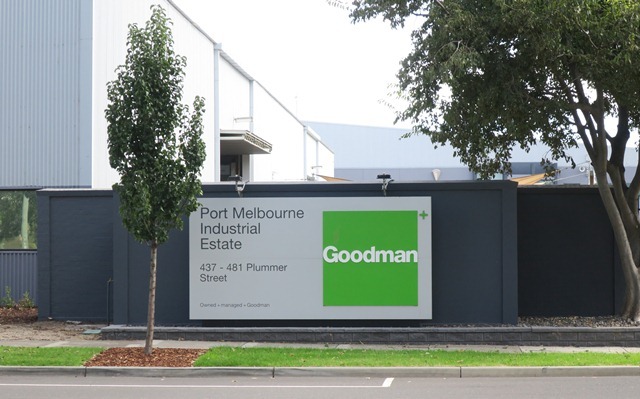 Goodman owns, manages and develops industrial land including logistics facilities, warehouses and business parks. Goodman is the largest landholder in Fishermans Bend and will be a key player in shaping its future. 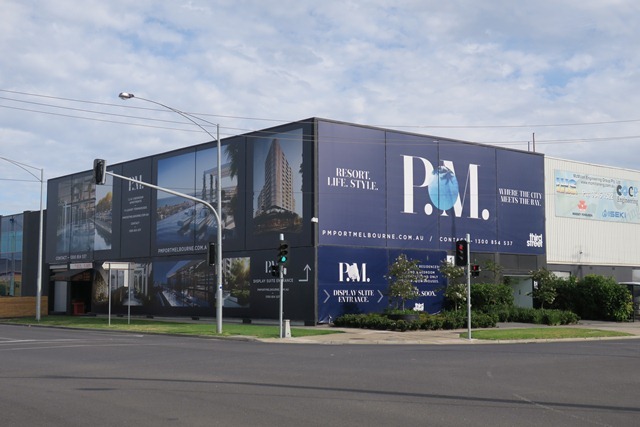 The company owns 33 ha of land in Fishermans Bend in six separate parcels at 437-481 Plummer Street, 153 Bertie St and 350 Bridge St and 520 Graham St. The site is being cleared for the P.M.apartment and townhouse development with a planning history dating back to 2014. The permit was granted back in 2015 and amended in 2016. It now includes 536 apartments over three towers – two of 12 storeys and one, on the corner of Prohasky and Plummer St, of 15 storeys. Marketing for the development hones in on its key attributes – 650 m to the beach, and 3 km to the City – not to mention that it is almost at the gate of access to the Westgate Freeway. Meanwhile in a room in Spring St, the Fishermans Bend planning review panel sits day after day hearing submitters and expert witnesses. Fierce contests are being played out between counsel representing the Minister for Planning and the draft Framework and counsel representing Fishermans Bend land owners. The draft Framework is a high stakes game – the aspirations and assumptions of the Framework are being put to the test, loose definitions challenged, and intent questioned. In the hands and recommendations of this Panel, future outcomes in Fishermans Bend depend. Water reservoirs have reappeared to drip feed ailing street trees. Rainfall in February was 69 % below average with only 18 mm falling around the catchments. Many trees seem to be giving autumn a miss and just dropping their leaves immediately.